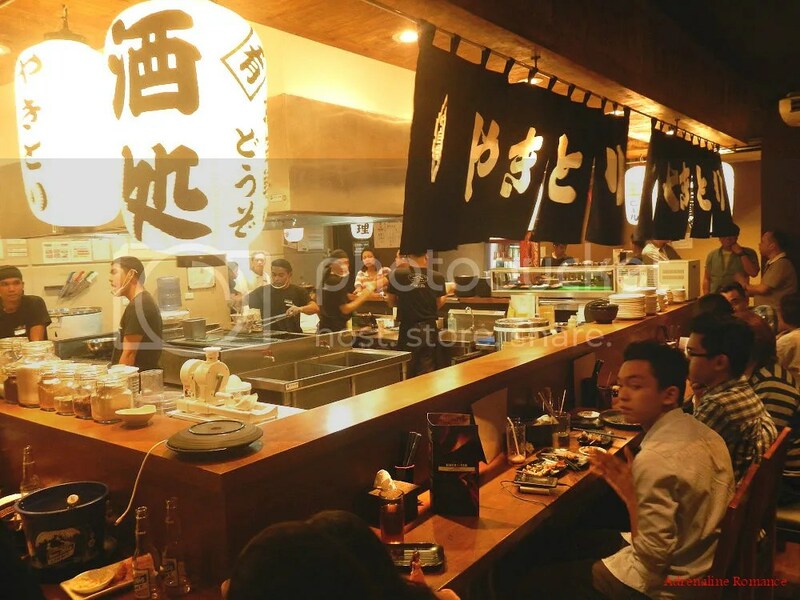 Japanese cuisine is simply irresistible, and many of their dishes are our personal favorites. Mention sushi, maki, miso soup, ramen, and more; and we guarantee you, our mouths will water. Japanese chefs put so much effort, art, and heart into their cuisine. Indeed, we are even dreaming of going to Japan just to have a taste of a street- or home-cooked Japanese meal. 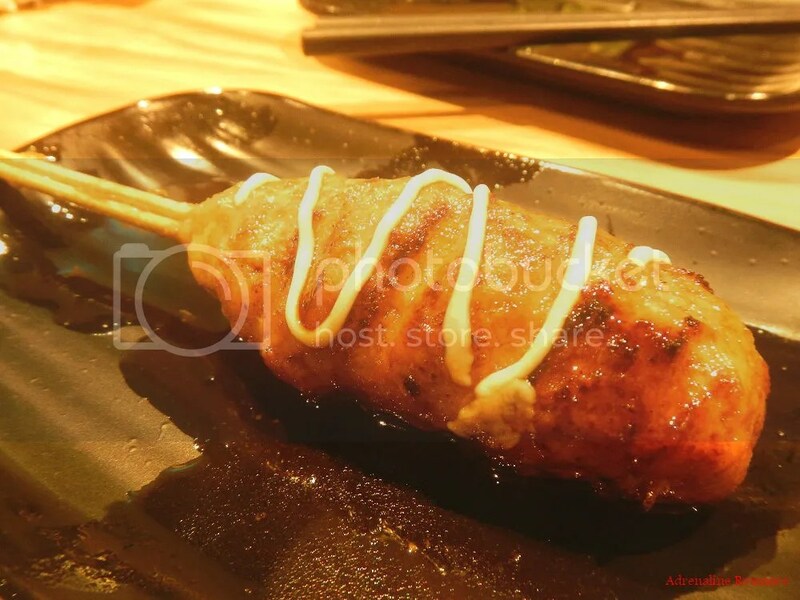 So you can just imagine our delight when we, along with other bloggers, received an email inviting us to try out the dishes of Yakitori Bincho-tan, a new Japanese restaurant that has opened in Mandaue. We were in for a great treat because this authentic Japanese establishment has brought us another exciting delicacy straight from Sapporo. We got stuck in traffic for about 30 minutes. 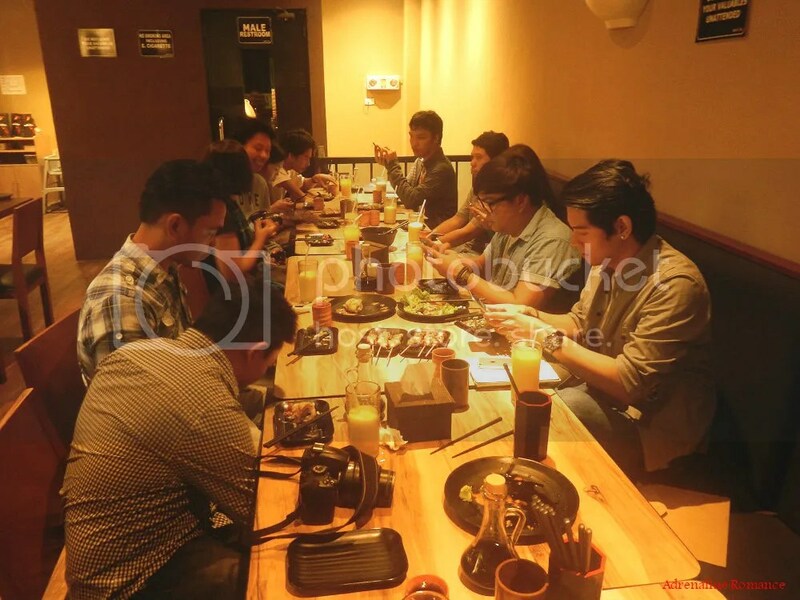 When we got to the site, other Cebu-based bloggers were already in the venue, taking photos of Yakitori’s specialties. The establishment seems small in area, but it actually seats an impressive number of diners. 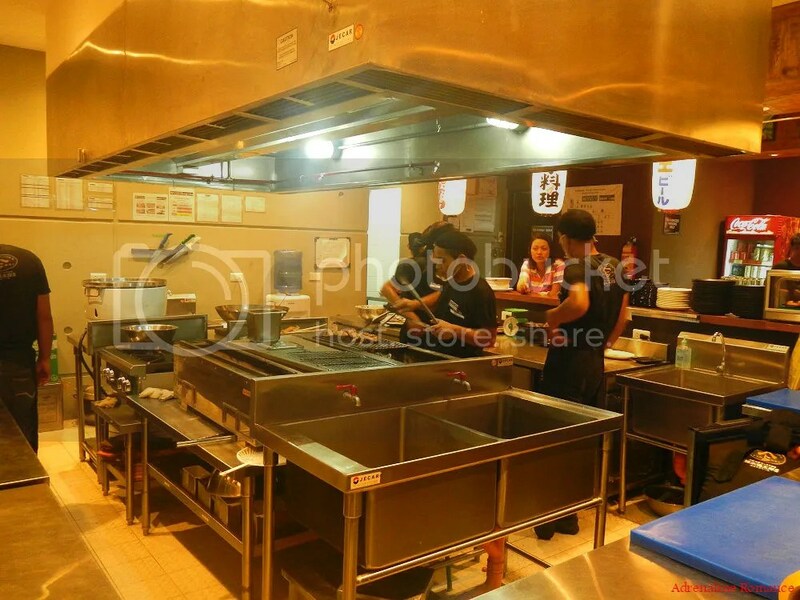 But for serious diners, we suggest heading out to the center of the restaurant, which features a large counter surrounding the food preparation area. 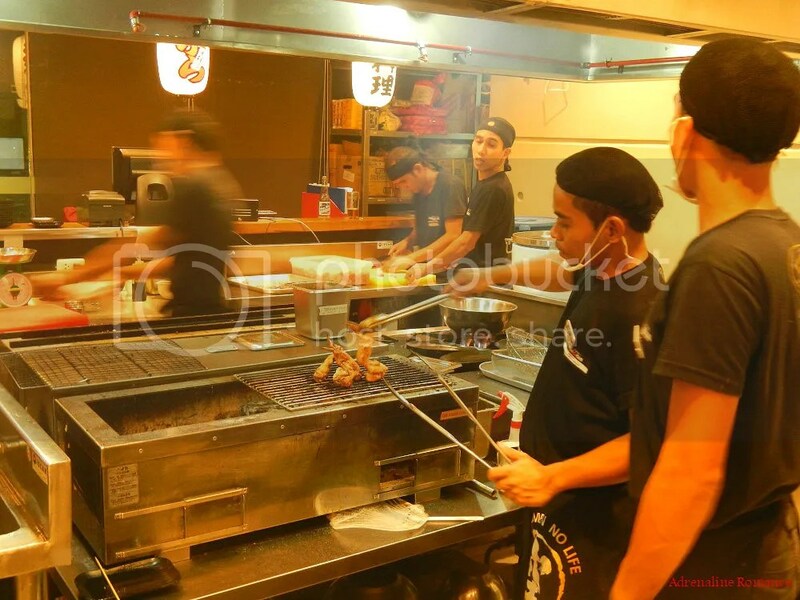 Simply order from the staff, and they will whip up your meal fresh and hot right off the grill. Authentic lanterns and banners with Japanese characters make the experience even more authentic. We’re not sure what the characters mean; we guess they’re all about enjoying a good meal and having great luck in life. Check out their cooking area in which all modules are conveniently arranged for efficient movement. There’s the grill, stove, washing area, and more. It was a busy night, and the industrious guys behind the counter were fully at their work. Great job, guys! 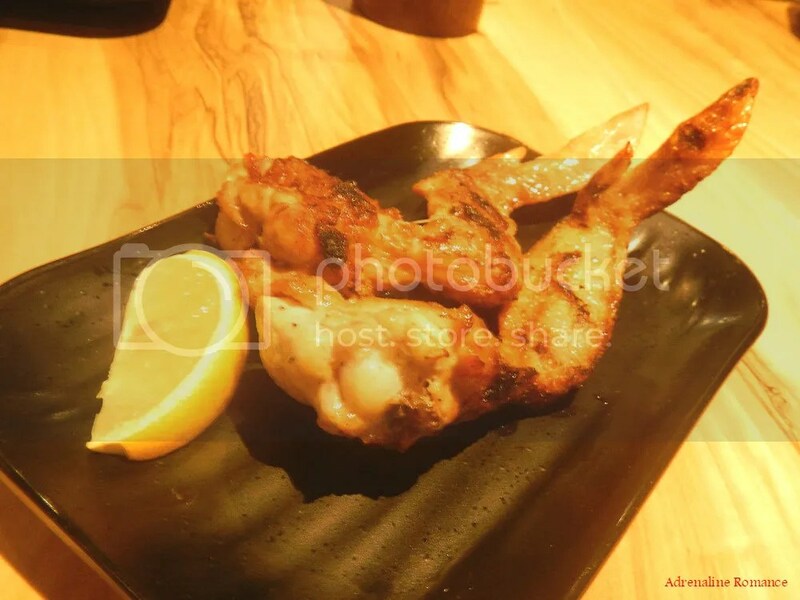 Their delicious yakitoris are grilled on special bincho-tan charcoal. Now, this isn’t your ordinary charcoal found in sari-sari stores. Bincho-tan has unique properties that enable it to retain a lot of heat but emits only minute amounts of smoke. Without the smoke, the natural flavor and aroma of the food being grilled comes out. 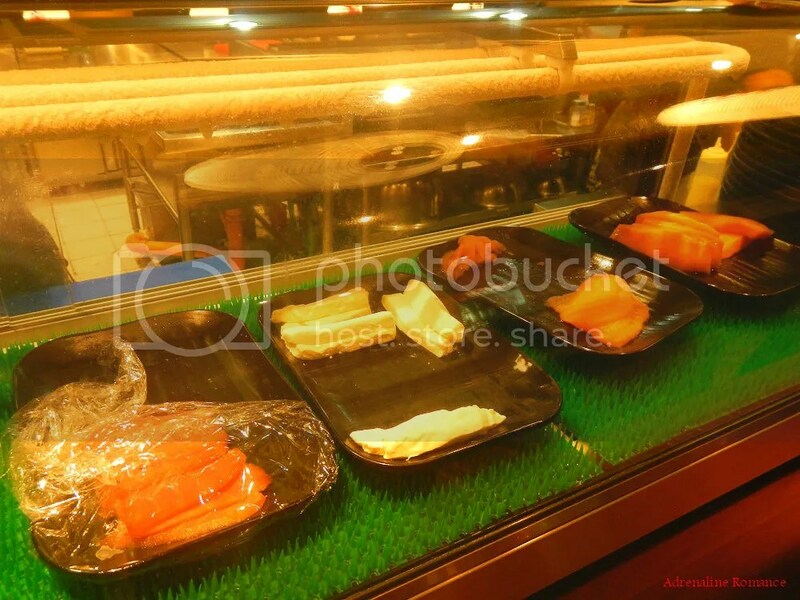 They also have a refrigerated display filled with fillets of raw fish. These fillets are used for their sushi and maki. 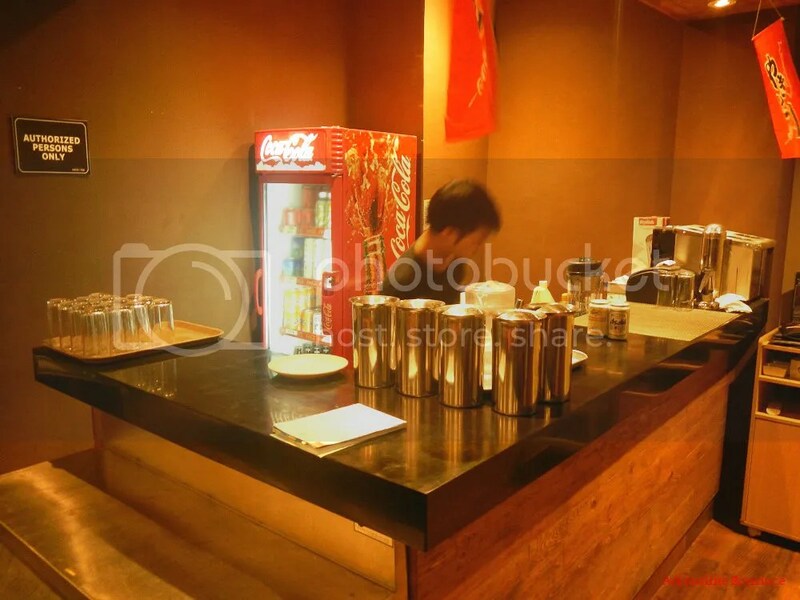 Their drink counter has a comprehensive stock of both alcoholic and non-alcoholic beverages. 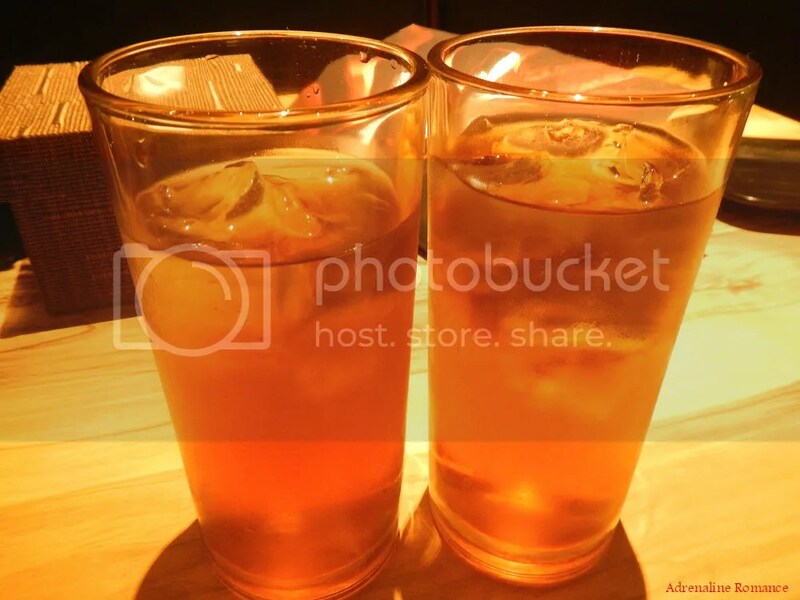 When we arrived, Chiqui, their marketing manager, gave us some cold Japanese tea as welcome drinks. Having an aftertaste of mint and herbs, the tea was utterly refreshing. After finishing our tea, the staff then served us a variety of their famous and delicious yakitoris, which are pieces of skewered meat that is basted or marinated with secret sauces and marinades. Their recipes were passed on to Chef Nori Suzuki, one of the owners of the restaurant, by his ancestors back in Hokkaido, Japan. Let’s check out some of their recommended specialties. 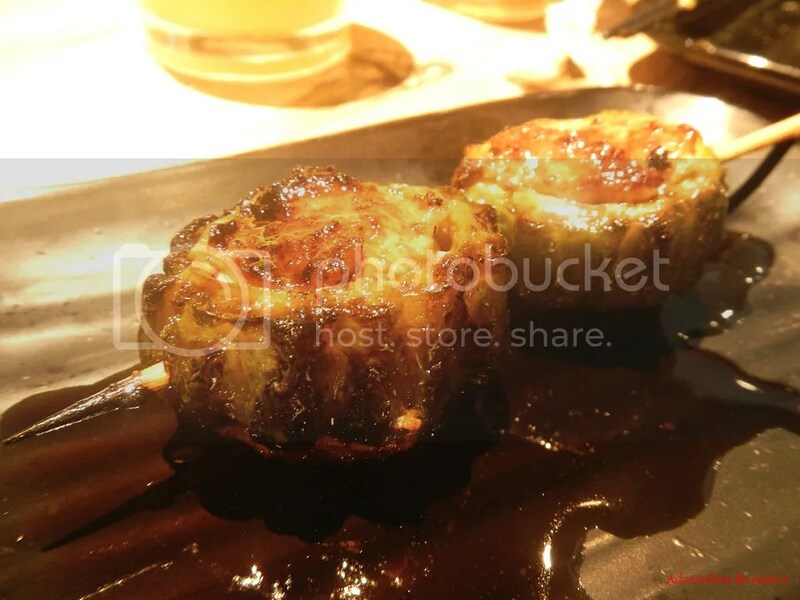 This is their delightfully delicious Chicken Thigh Shio, which is flavored using salt and pepper. It’s richer cousin is the Chicken Thai Tare, which is basted in a special, spicy teriyaki sauce. During preparation, the meat used in yakitoris are perfectly tenderized so that diners will enjoy soft and juicy bites. Want something rich, classic, and light at the same time? 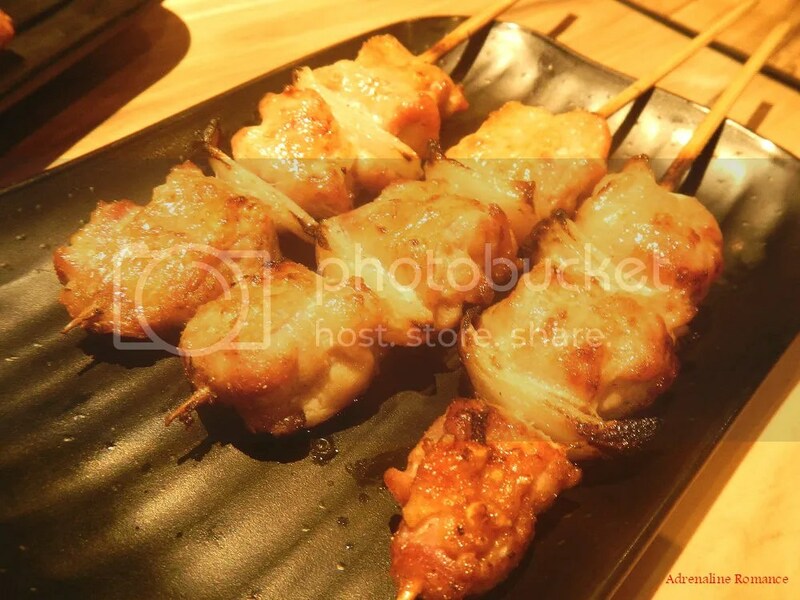 Then the crunchy and filling Shimeji Mushroom Wrapped in Bacon Slice will surely satisfy you. You can definitely feel the creativity involved here as some yakitoris are made of ground meat blended with herbs and spices rather than whole meat slices. 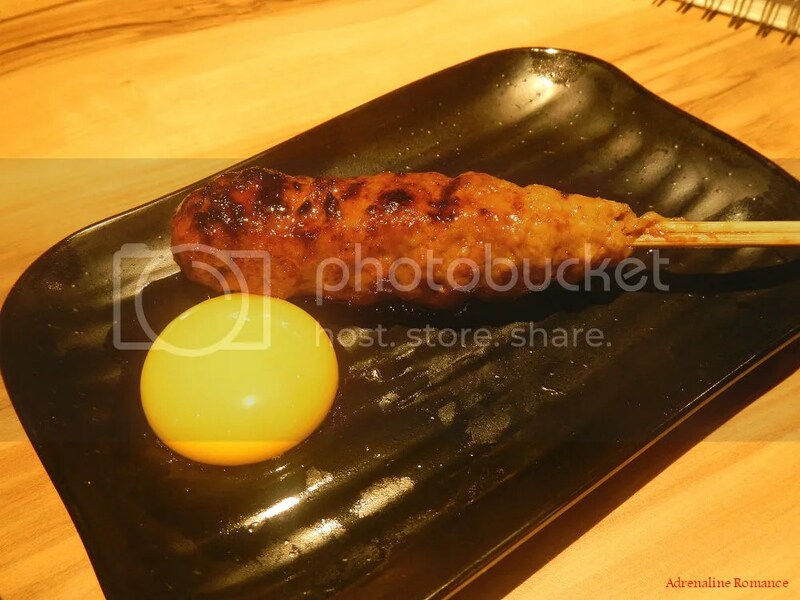 Check out this Cheese Tsukune—ground meat yakitori drizzled with melted cheese. Given that my love for eggs borders on greed, this one is definitely one of my favorites. That’s a Tsukune with Poached Egg. Actually, only the yolk, not the entire egg, is slightly poached. It’s awesomely delicious! Bitter Melon Stuffed with Ground Pork. This one is Sweetie’s favorites as she loves to eat bitter melon (ampalaya). The slight bitterness compliments very well with the savory taste of the meat. Perhaps you may want to go for a more traditional Filipino taste? No worries! 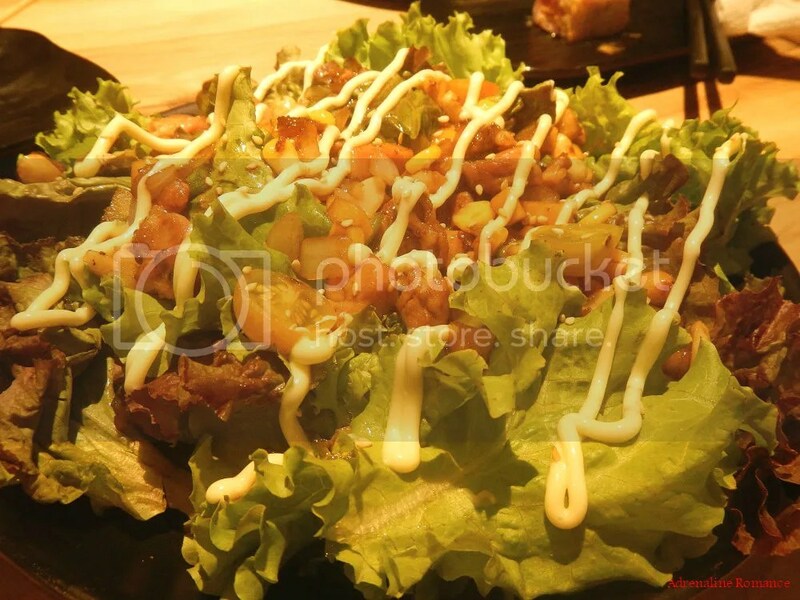 The finger-licking good Teba will satisfy your taste buds. Squeeze a little lemon juice on the meat to enhance the taste. No Japanese restaurant is complete without the traditional makis. 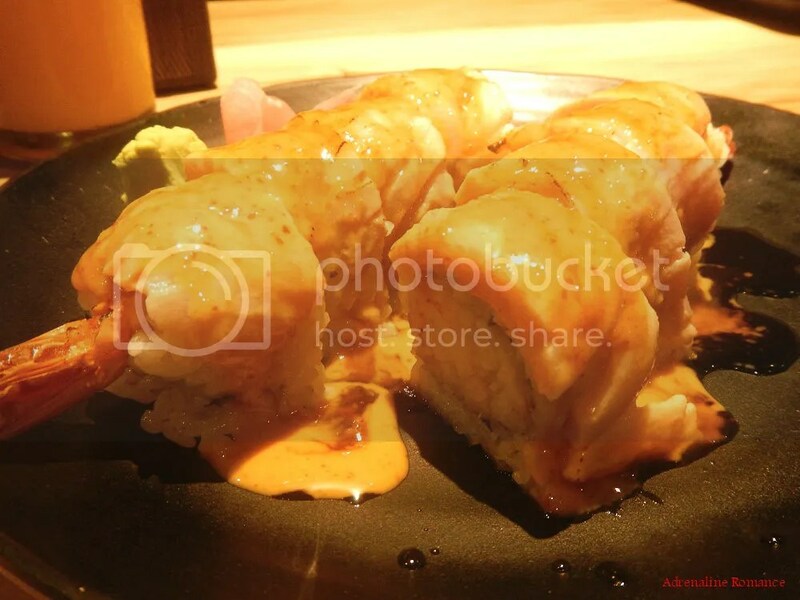 This is the restaurant’s signature Tiger Roll—strips of fresh tuna, salmon, and shrimp rolled in sticky Japanese rice and drizzled with a light creamy sauce. 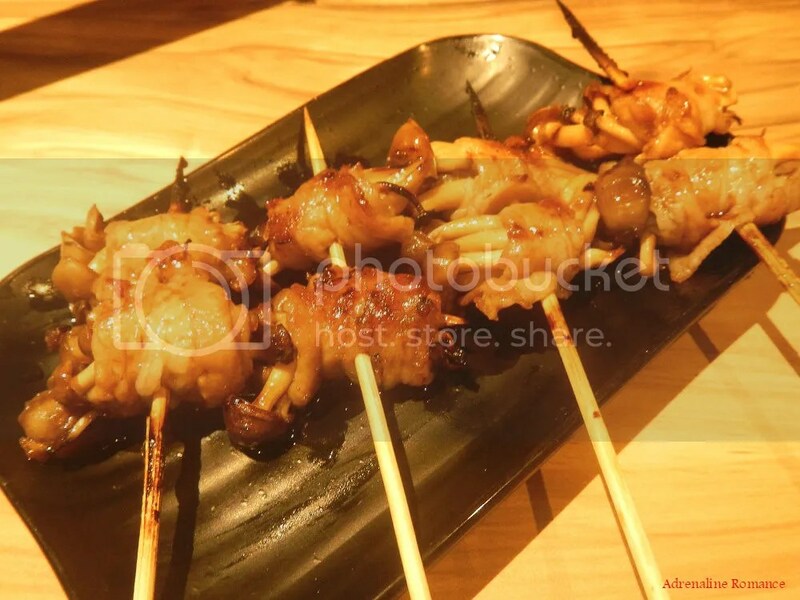 This is probably another favorite of ours in Yakitori Bincho-tan. Wash down that heavy meal with a serving of Teriyaki Chicken Salad. Contrary to its appearance, its not greasy. The greens, cherry tomatoes, mushroom bits, corn kernels, and more all sop up the meaty taste, giving you a light but satisfied feeling in your tummy after a hearty yakitori dinner. Japanese restaurants have always been associated with sushi. 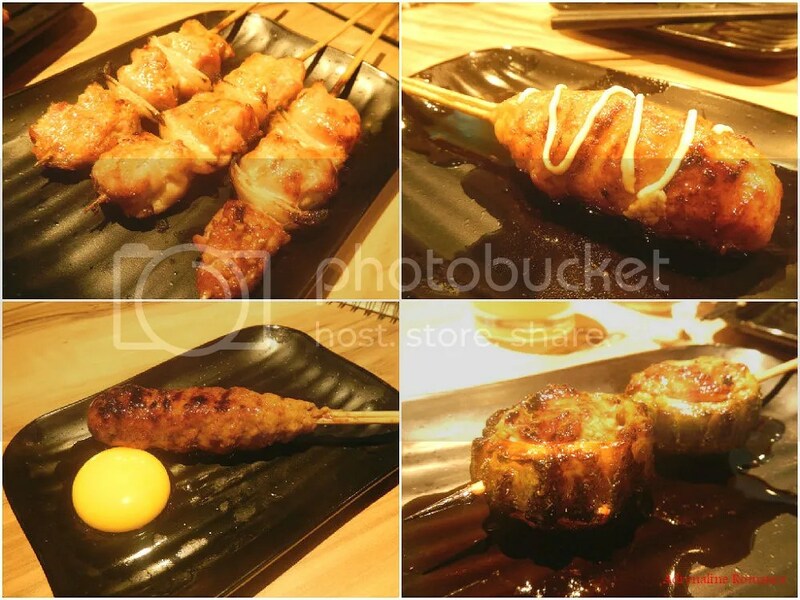 Now, Yakitori Bincho-Tan gives locals and tourists alike a taste of another Japanese culinary treasure. 1. 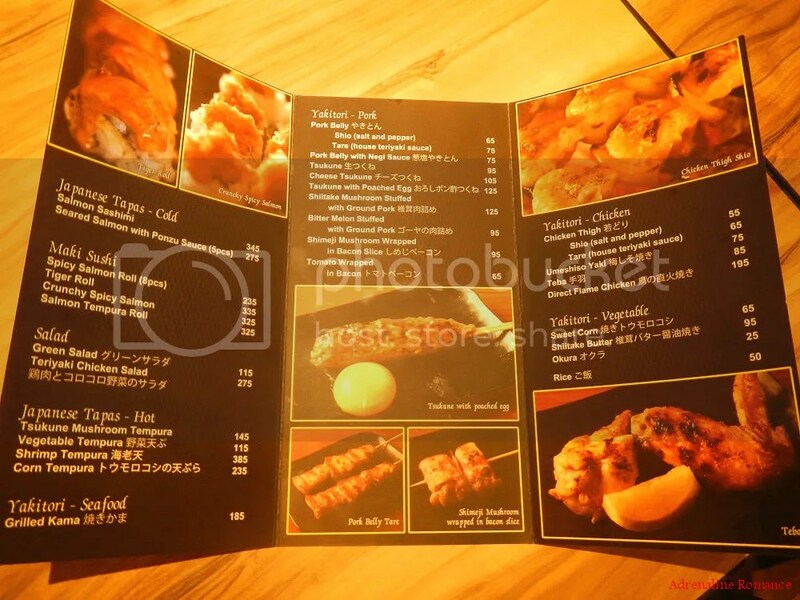 Yakitori Bincho-Tan is located at the second floor of Lightsite Park in A.S. Fortuna, Mandaue City. Use these details to contact them and to reserve seats. The restaurant opens Monday to Sunday, 10 AM until midnight. The salad is really tempting! 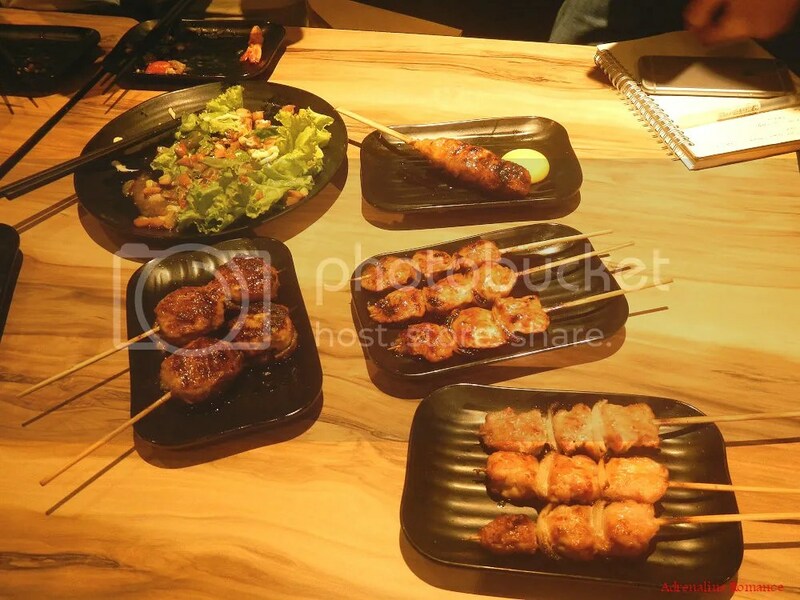 Actually, yakitori is Japan’s version of barbecue. It’s really tasty; we love the tenderness and juiciness of the meat.